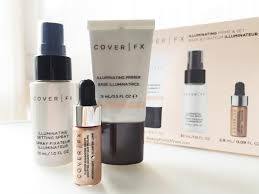 Cover FX offers makeup and beauty products free of talc, sulfates, fragrance, parabens and gluten. The company’s specialties are high-performing formulas with a dedication to delivering innovative and customizable products. 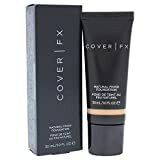 Cover FX offers beauty products that are well-liked among beauty influencers and professionals. It also has award-winning formulas and a diverse range of foundation in 40 shades and 3 undertones. 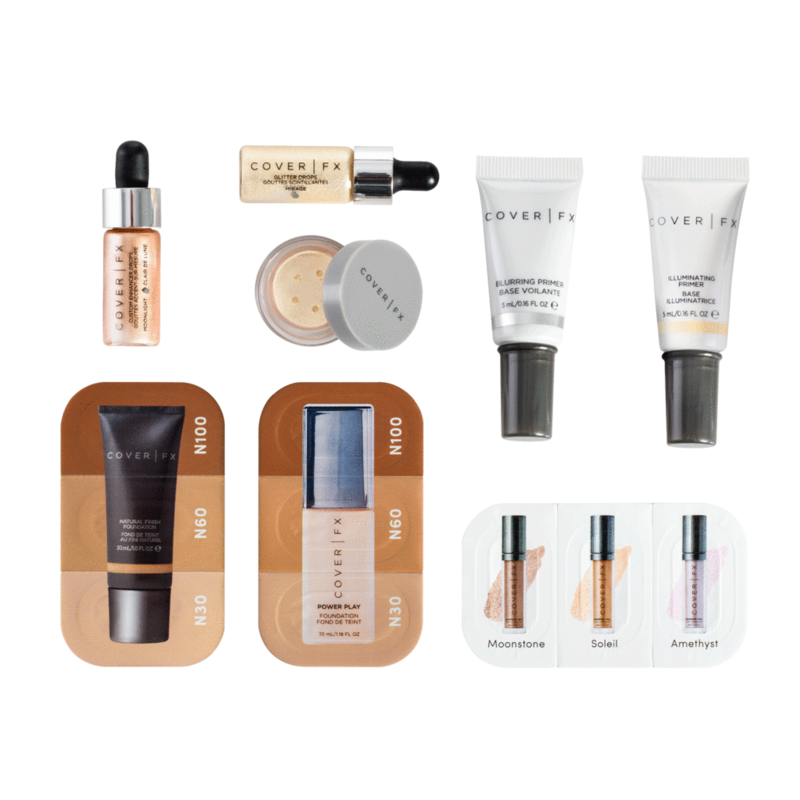 Cover FX has a wide range of products, including foundation, primers, bronzers, concealers, and many others. Some of the most popular products are listed below. This liquid foundation is available in 40 diverse shades, it offers medium to full coverage with a modern-matte finish. It contains a trio of ultra-fine powders that control shine and blur imperfections, so the foundation can stay on skin all day without dulling or drying complexion. 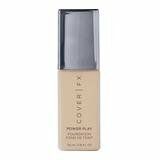 COVER FX Natural Finish Oil-Free Foundation conceals complexion imperfections and nourishes skin. 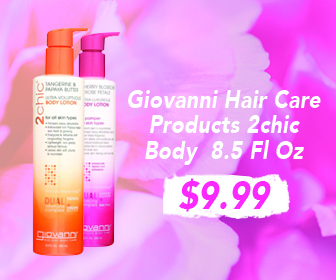 Featuring vitamin E and bisabolol, it hydrates and conditions to promote a smooth feel and comfortable, long wear. The water-resistant formula renders an effortless application and flawless finish. The lightweight texture is formulated to leave a luminous, soft focus finish to the skin and is great for a medium to full coverage. If you are a novice makeup enthusiast, the Custom Enhancer Drops will help you create highlighted looks with a long-lasting glow. Complete with seven liquid highlighters, this makeup kit is enriched with mica that features light-reflecting particles that illuminate any complexion. feeling sticky, greasy, or drying. This mattifying spray is alcohol-free and quick-drying. It instantly sets and secures makeup for all-day wear while removing surface shine and minimizing the look of pores. 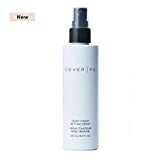 The spray mattifies instantly and the ultra-fine mist application delivers a weightless, long-wearing matte finish while absorbing surface shine and minimizing the appearance of pores. 93% of participants said their makeup felt set and secure after applying Mattifying Setting Spray. 80% said Mattifying Setting Spray helped their makeup last all day. 73% said Mattifying Setting Spray provided a matte finish that lasts all day. What it is: A weightless, alcohol-free setting spray that locks in makeup for all-day wear with a dewy, hydrated look. Dewy Setting Spray is weightless and alcohol-free, locking in makeup with a hydrated look. The spray sets a dewy glow and ensures all-day lasting makeup. The quick-drying formula of Dewy Setting Spray is designed to provide a hydrated finish while keeping your foundation, blush, eyeshadow, and concealer in place. It is so weightless that you won’t ever feel your makeup being sticky, greasy, or drying throughout the day. What it is: A multidimensional glitter highlighter that imparts a high impact, light-reflective finish. Cover FX’s Glitter Drops provide ultra-concentrated drops of multidimensional glitter that impart a high impact, light- reflective finish. These customizable, multi-use liquid glitters can be used alone, under or over makeup, or mixed into your beauty product for an incredibly luxurious glitter effect on the face and body. Glitter Drops are good for all skin types and will create a little bit of makeup magic regardless of your skin tone, color and complexion. Some reviewers even called it liquid gold in a bottle. 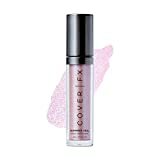 Just like Glitter Drops, Cover FX’s Shimmer Veil offers a little bit of added magic to your regular makeup. This multidimensional shimmer has a weightless creme texture that will create a high-impact finish on eyes, lips, and beyond. Glitter Drops have shimmering creme colors that are crease-proof enough for the boldest eye looks. The drops are formulated with a weightless finish for a shimmering effect anywhere on the face, and they are available in six shades. This quick drying setting spray sets makeup for all day wear and provides instant, all-over illumination. It also won’t dry the skin since it’s alcohol free. The Illuminating Setting Spray provides instant illumination while giving your makeup serious staying power. The ultra-fine mist application delivers an even, luminous finish like a perfect all-over highlighter for both face and body. The more mist you use, the more intense you glow. 93% said the product gave their skin a more radiant appearance upon application. 80% of participants said the product helped their makeup last all day. At least 90% of participants said the product was lightweight, dried quickly and was comfortable on skin all day, without feeling sticky or greasy. At least 84% of participants said when using the product, their makeup felt instantly set and secure. 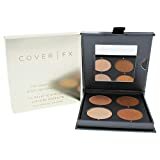 Cover FX’s Perfect Light Highlighting Palette contains two illuminating shades, each in cream and powder textures, so you can customize your radiance. You can also use the cream and powder highlighters to transform a subtle glow into a more striking highlight. Each of them is available in Total Cover Cream and The Perfect Light Highlighting Powder formulas. A soothing primer that helps reduce redness and relieve highly sensitive, inflamed, and irritated skin. 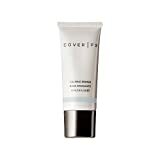 Calming Primer is Cover FX’s skin-soothing primer formulated for sensitive skin. It will improve overall skin tone and create an ideal canvas for foundation. It has a blend of unique ingredients to calm redness-prone skin while also prepping it for foundation. The primer has a gentle formula that will enhance overall skin tone and leave skin feeling hydrated, smooth, firm, and healthy. The product is perfect for applying before your foundation to ensure supreme blendability, even application, and extended wear. 97% agreed that product is gentle on skin. 72% of subjects agreed that product calmed skin. 86% of subjects agreed that product provides a soothing effect on skin. 93% agreed that product is gentle on skin. 86% of subjects agreed that product calmed skin. 93% of subjects agreed that product provides a soothing effect on skin. 96% of subjects agreed that skin feels smoother. 83% of subjects agreed that skin appears healthy. 79% of subjects agreed that overall skin quality feels improved. 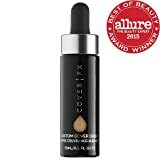 Custom Cover Drops offer a unique opportunity to create your ideal foundation or tinted moisturizer. 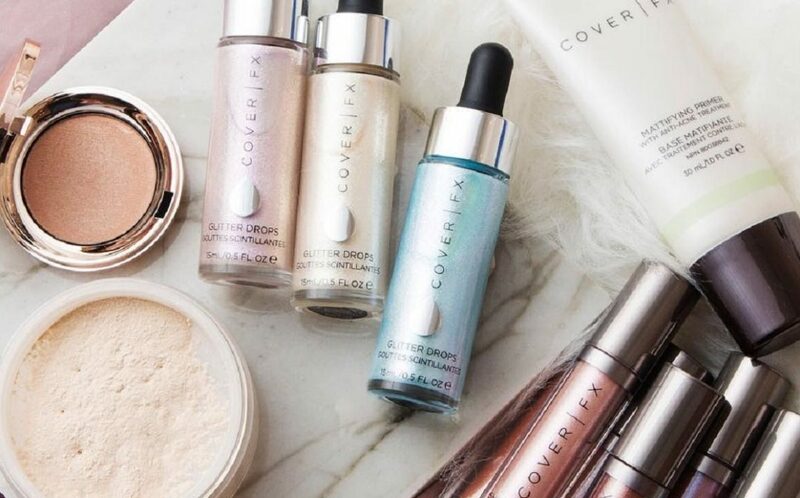 You can mix Cover FX’s revolutionary drops of pure pigment with your favorite liquid beauty products to create the perfect match for your skin. The drops were not designed to be worn alone. They allow for a transformation of all of your favorite liquid beauty products into the ideal foundation or tinted moisturizer. You can customize both your level of coverage and desired finish. Just remember to shake the bottle well before adding drops to ensure appropriate coverage. For a radiant finish, you can add drops to products like oils, serums, or creams. For a matte finish, mix your drops with a mattifying primer or a lightweight lotion. Cover Click is a lightweight, compact product that contains 55% as much product as a full-sized compact foundation. This unassuming stick is actually a longwearing, full coverage stick foundation and concealer in one. 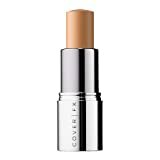 Cover Click is a multi-tasking stick that can conceal, contour, and highlight your skin. It is available in 24 Global Shades that can cover imperfections with 32% pigment. The texture is creamy and weightless so it blends seamlessly for a perfect second skin finish. Cover FX’s products offer a variety of options that will make you feel vibrant and beautiful. The company has a “clean” approach to beauty, which means the products are free of mineral oil, gluten, parabens, fragrance, and talc. They are also always cruelty-free and vegan, with a unique formula for every skin type. You can pick your Cover FX foundation in a liquid, powder, or cream formula, and choose from radiant to matte finishes. Finally, there is the “Shade Match Guarantee” – if you are not happy with the shade you picked, all foundations are eligible for free returns and exchanges. You can refer directly to the COVER FX website for more details about their various products.